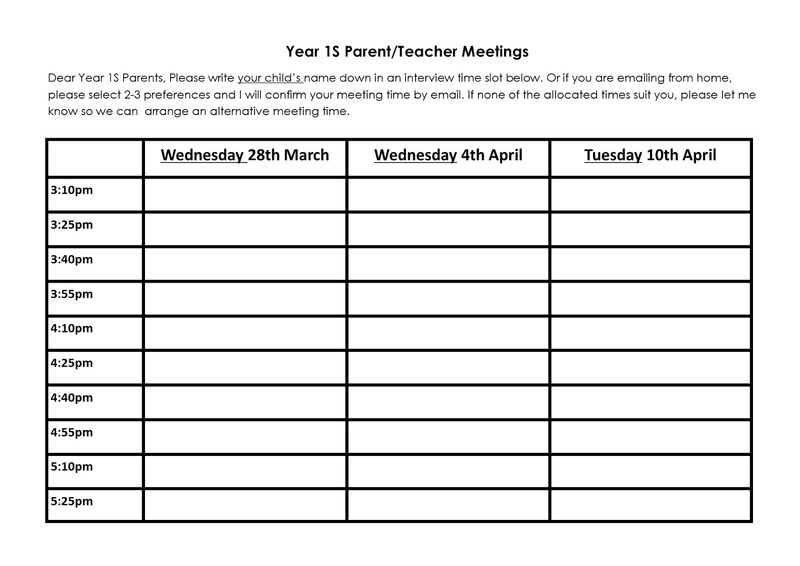 The Year 1S Interview Timetable is now up on the classroom pin up board (as pictured below). Please write your child’s name down in an interview time slot outside the classroom. Or if you are emailing from home, please select 2-3 preferences and I will confirm your meeting time by email. If none of the allocated times suit you, please let me know so we can arrange an alternative meeting time. I look forward to discussing your children's progress with you.